Samantha graduated from the British College of Osteopathic Medicine in 2013. Samantha has completed post graduate training in Cranial Osteopathy with the Rollin Becker Institute. 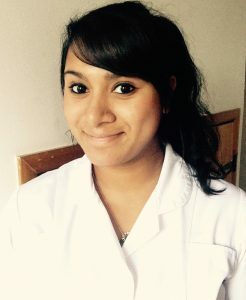 Samantha has then completed several courses specialising in Paediatric Osteopathy and is regularly treating babies at the clinic. Samantha often works with Lisa on complex cases to provide a 4-hands-on treatment. Samantha is also trained in Dry Needling which she believes to be a great way at tackling acute/chronic muscular pain.